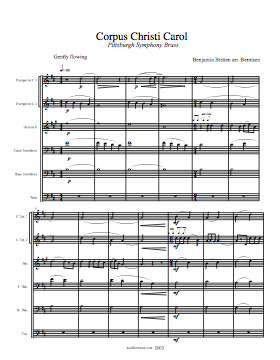 Thank you for your interest in arrangements by Neal Berntsen. 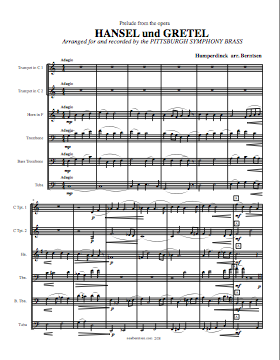 Please browse the selection of arrangements below. To order arrangements, either click the “Order” link or send an email to: arrangements@nealberntsen.com (Neal Berntsen), put arrangement request in the subject line and outline your request in the body of the email. You will receive a reply with payment instructions. Once payment is received, customers will be emailed documents containing PDF’s (score and parts) of the requested arrangement. Finale Files will not be sent. 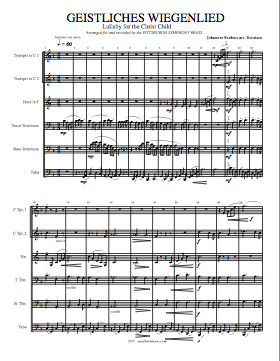 2 Trumpets in C, Horn, Tenor Trombone, Bass Trombone, Tuba; 2:39; from “A Song of Christmas”. 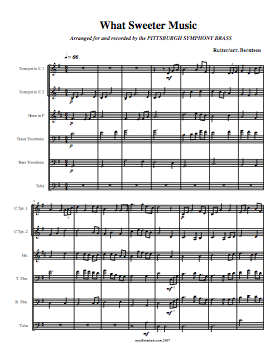 2 Trumpets in C, Horn, Tenor Trombone, Bass Trombone, Tuba; 4:48; from “A Song of Christmas”. 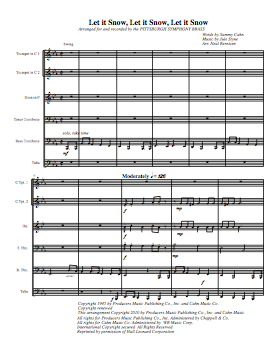 2 Trumpets in C, Horn, Tenor Trombone, Bass Trombone, Tuba; 1:49; from “A Song of Christmas”. 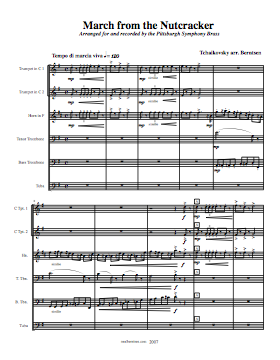 2 Trumpets in C, Horn, Tenor Trombone, Bass Trombone, Tuba; 4:33; from “A Song of Christmas”. 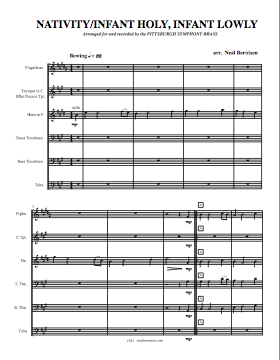 Bass Trombone Feature, trumpet in C/piccolo trumpet, trumpet in C, horn, tenor trombone, tuba 1:34 from “A Song of Christmas”.